KNS yacht register 1919 has not yet listed sail no sH36. KNS yacht register 1920, Class 1 (S-1917 rule) has listed sH36 “Anchen”, ex Avance II, owner Olaf Engelhardtsen, Kristiania (Oslo). Design H. J. Svenningsen, constructed by Sigurd Lie, Sarpsborg 1919. KNS yacht register 1921-1922, Class 2 (S-1917 rule) has listed sH36 with owner and data as in KNS register of 1920. KNS yacht register 1925-1926, Class 2 (united S-1917 and R-1907 rules) has listed sH36 “Anchen” as in previous registers. KNS yacht register 1935-1936 has sH36 “Anchen” as in previous register with owner Olav Engelhardtsen, Oslo. KNS yacht register 1937-1938 Class 2 (8 s.m. and 8 s.l. and 8m Cruisers) has listed sH36 "Anchen" with owner Olaf Engelhardtsen, Oslo. KNS yacht register 1947 has sH36 “Inghild”, ex Avance 2, ex Anchen, owner John Madsen, Oslo. Ownership data from 1919 on sH36 “Avance 2” is not listed in KNS yacht register 1919, which indicates she has been given racing sail no after the KNS 1919 yacht register was printed. Seilas yachting magazine of April 23rd 1919 reports on page 79 about four Eight metres being constructed at Anker & Jensens Verft in Vollen, Asker that spring, i.e. 8mS "Betty III" ordered by shipowner Jac.M. Lindvig, Kristiania, one 8mS for engineer Arne Blakstad, one 8mS for Mr. Mathias Christophersen, Tönsberg and one 8mS (owner not mentioned). The 3 yachts ordered in addition to the yacht ordered by Mr. Arne Blakstad, are to be known as sH34 "Betty III" (yard no 220), sH35 "Knabb" and sH37 "Koh-I-noor". Of these only sH34 "Betty III" is listed in KNS yacht register 1919. 8mS "Trolljo III", was later in 1919 ordered from Anker & Jensen by Mr.Gunnar Rabbe, Kristiania and given the vacant sail no. sH31 (ref. data sheets sH31 and sH33). The yacht to be known as 8m "Snarken" remains onshore until she is taken ower by Mr. Eilert Sundt who names her "Verano II". She is modified to the new R-rule of 1919 and given sail no. 8N11. Ref; Seilas yachting magazine of April 14th 1920, page 70; which reports one 8mS for Mr. Eilert Sundt laid down in accordance with last years design, to be converted to new international. Further one 8m new international for N.N. (i.e. 8N2 "Sildra"). 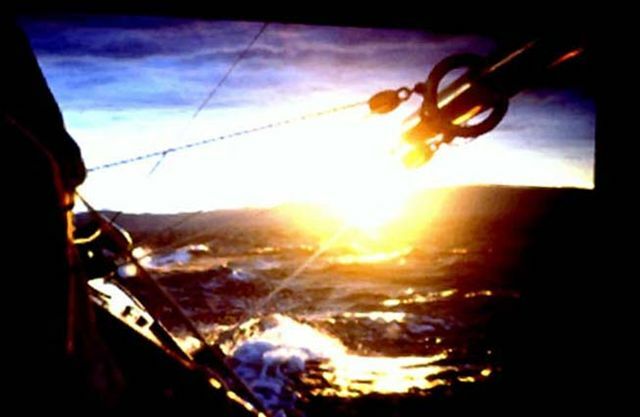 Was sail no sH36 first given to the 8mS yacht ordered by engineer Arne Blakstad from Anker & Jensen, yard no 223? As this order later in 1919 most likely was cancelled due to reasons related to the new R-rule of 1919, sail no sH36 became vacant, and subsequently given to Olav Engelhardtsens yacht “Anchen”, designed by Svenningsen and to be constructed by Sigurd Lie, Sarpsborg, 1919. If this scenario is confirmed sH38 “Snarkens” first sail no and name was sH36 “Avance 2”, owner engineer Arne Blakstad, Anker & Jensen 1919, yard no 223. And the four Anker yachts reported by Seilas (April 23rd 1919, page 79) laid down in Vollen spring 1919 were as such; sH34 “Betty III” (yard no 220), sH35 “Knabb” (yard no 221), sH36 “Avance 2” (yard no 223 – to become 8N11 “Verano II”) and sH37 “Koh-i-noor” (yard no 225). The 5th yacht laid down based upon Johan Ankers drawing of 27-09-1918, “Trolljo III” (A&J yard no 227) was ordered later in 1919 and given the vacant sail no sH31, ref sH31 Data sheet. 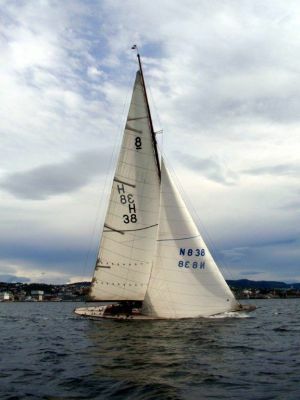 When Blakstads order was cancelled, sail no sH36 became vacant and subsequently given to the last 8mS designed by H.J.Svenningsen, and constructed by Sigurd Lie, Sarpsborg, for owner Olav Engelhardtsen, who named her “Anchen”. The hight of freeboard on this Svenningsens design is 0.83m which is the highest freeboard noted on any 8mS. The floating waterline length remains as for most other 8mS, however, overall length is increased to 14.14 m. This indicates that Svenningsen in this last 8mS design has added one more planking to her freeboard which is a step in the same direction as encouraged by the new R-rule of Oct 1919. No technical data are found on girth and girth difference, assuming her underwaterhull and displacement is comparable to the other 8mS yachts. "Anchen" was not converted to the R-rule of 1919. In KNS yachting register she for years is listed in Class for yachts commissioned to the S-rule of 1917 and then the unified Class for yachts commisioned to the R-rule of 1907 and S-rule of 1917. She is not found in summary of KNS regattas in 1920 - 1921 - 1922.